This man started to notice hair thinning at age 21, but by age 23 he had not tried pharmaceuticals like finasteride or minoxidil to treat it. He received one Hair Regeneration treatment, as well as a prescription for finasteride to help control his DHT level in the bloodstream. 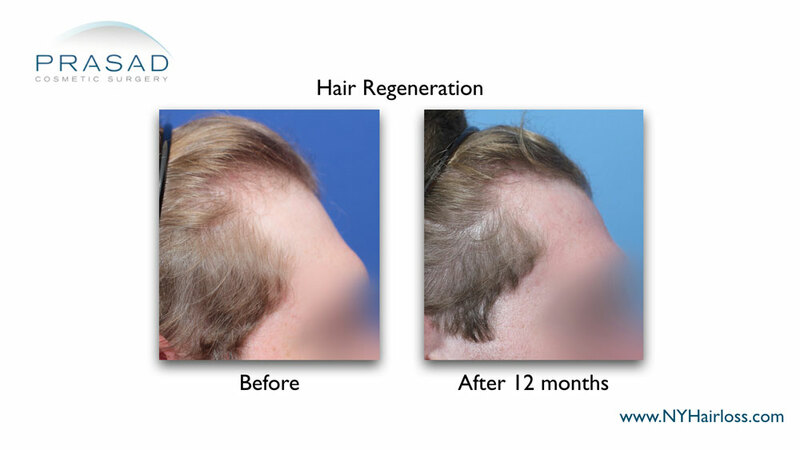 12 months after treatment, he was able get thicker hair growth at this hairline, and short, miniaturized hairs at his temples that were almost lost were now growing thicker and longer. 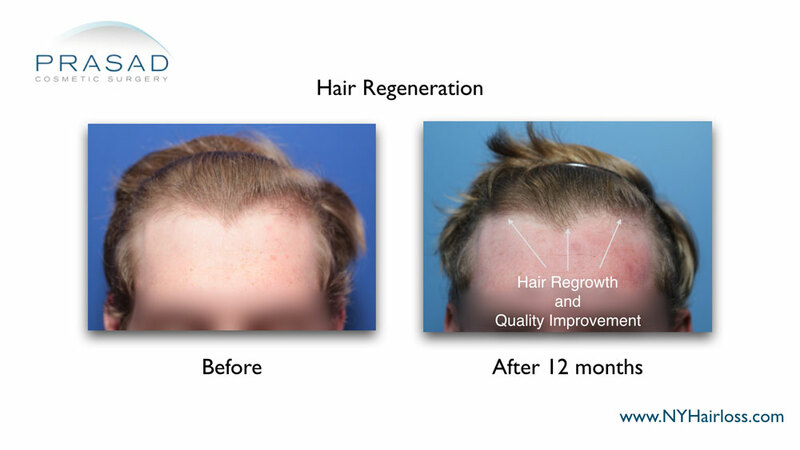 After the Hair Regeneration treatment, thickness and quality of hair at the hairline were improved. 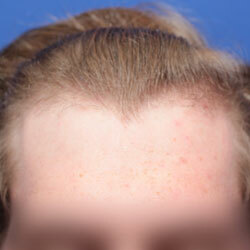 Fine hair at the temples became visibly thicker and darker after the Hair Regeneration treatment.